Discussion in 'The Lounge' started by Ome, Jan 21, 2018. Every day, we get closer and closer to the release of the Ant-Man sequel, Ant-Man and the Wasp. The film stars Paul Rudd, reprising the role of Ant-Man, while Evangeline Lilly takes on Hope Van Dyne/the Wasp. It’s a pretty stacked cast that also features Michael Douglas, Michelle Pfeiffer, and Laurence Fishburne. But instead of getting hyped for the film itself, which comes out on July 6, 2018, people seem distracted by the costuming. Specifically, the Wasp’s costume. 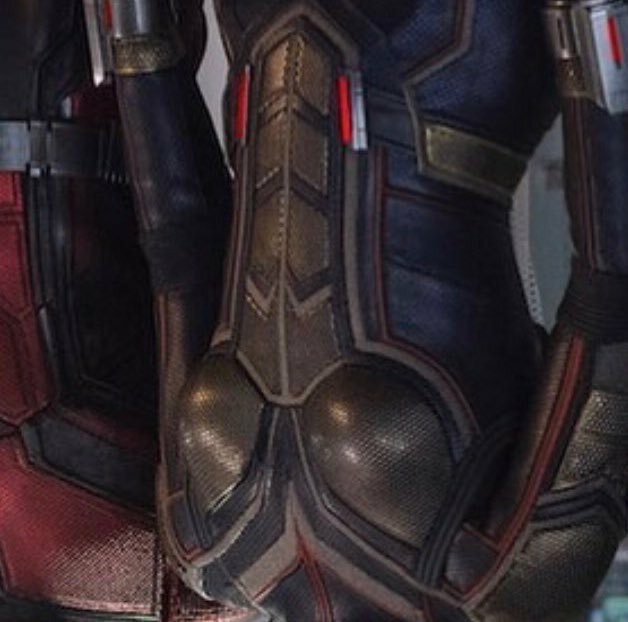 Here's hoping there won't be any scenes where Wasp is hanging upside down...? Ha ha, and I thought this was about the lack of yellow in her costume. I mean, I would never have guessed that her character represented a wasp.